The post Okeechobee Fishing Guides- Okeechobee Fishing Report 2/28/18 appeared first on Lake Okeechobee Bass Fishing at it’s BEST! Top Fishing Guides. The post Okeechobee Fishing Guides- Okeechobee Fishing Report 2/27/18 appeared first on Lake Okeechobee Bass Fishing at it’s BEST! Top Fishing Guides. Okeechobee Fishing Guides This afternoon I fished with Jeff Brusseau and his son Cody from Fargo, ND. They enjoyed the beautiful weather and we caught 25-30 bass in 4 hrs. Cody is a Sophmore and loves fishing, shot put, and discus. Thanks for coming guys and look forward to seeing you next year. The post Okeechobee Fishing Guides-Okeechobee Fishing Report 3/26/18 appeared first on Lake Okeechobee Bass Fishing at it’s BEST! Top Fishing Guides. The post Okeechobee Fishing Guides- Okeechobee Fishing Report 3/25/18 appeared first on Lake Okeechobee Bass Fishing at it’s BEST! Top Fishing Guides. The post Okeechobee Fishing Guides- Okeechobee Fishing Report 2/18/18 appeared first on Lake Okeechobee Bass Fishing at it’s BEST! Top Fishing Guides. Terry Haughn his son Cody and son in law Columbia had a great day of fishing on Lake O boating around 40 bass including these beauties in the picture. The bite has been VERY good and will continue to be good through out the spring. We still have days available in April and May so book your trip now with Okeechobee’s best fishing guides. The post Okeechobee Fishing Guides- Okeechobee Fishing Report 2/17/18 appeared first on Lake Okeechobee Bass Fishing at it’s BEST! Top Fishing Guides. 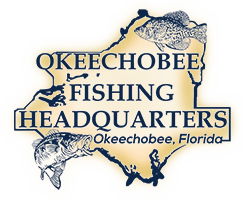 The post Okeechobee Fishing Guides- Okeechobee Fishing Report 2/12/17 appeared first on Lake Okeechobee Bass Fishing at it’s BEST! Top Fishing Guides. The post Okeechobee Fishing Guides- Okeechobee Fishing Report 2/9/11 appeared first on Lake Okeechobee Bass Fishing at it’s BEST! Top Fishing Guides. The post Okeechobee Fishing Guides- Okeechobee Fishing Report 2/6/18 appeared first on Lake Okeechobee Bass Fishing at it’s BEST! Top Fishing Guides.